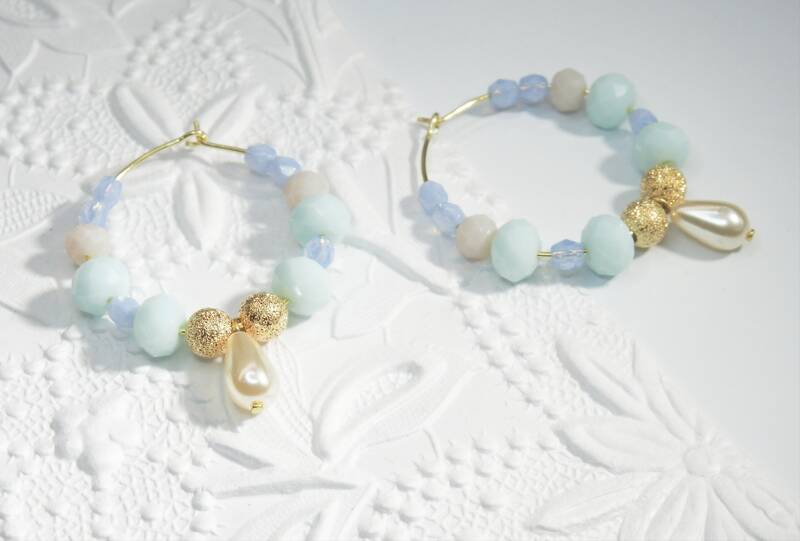 These pastel blue beaded hoop earrings with Swarovski faceted beads illuminate and embellish the face who wears them. Looking for nice and inexpensive gift ideas for women? Don't look any further! 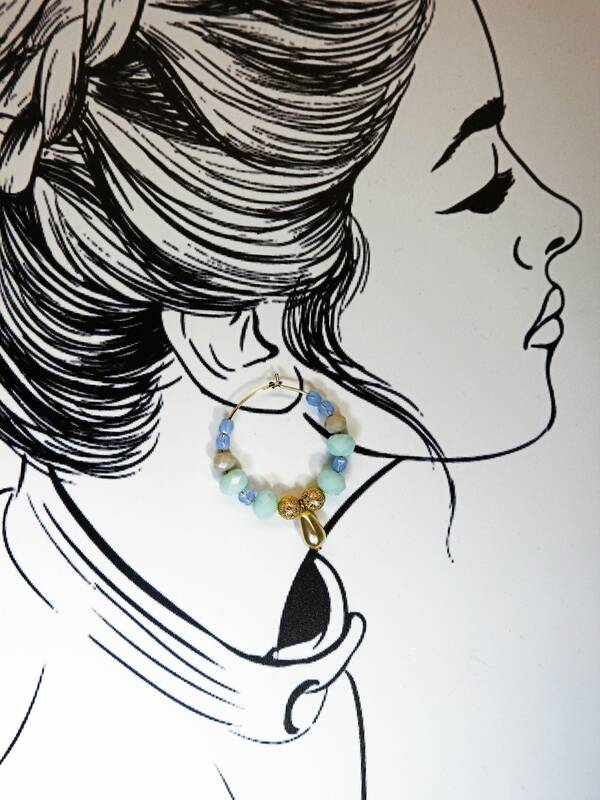 - Main colors: Pastel earrings with teal and sky blue hue, cream color and gold color beads, 2 white pearl drops. 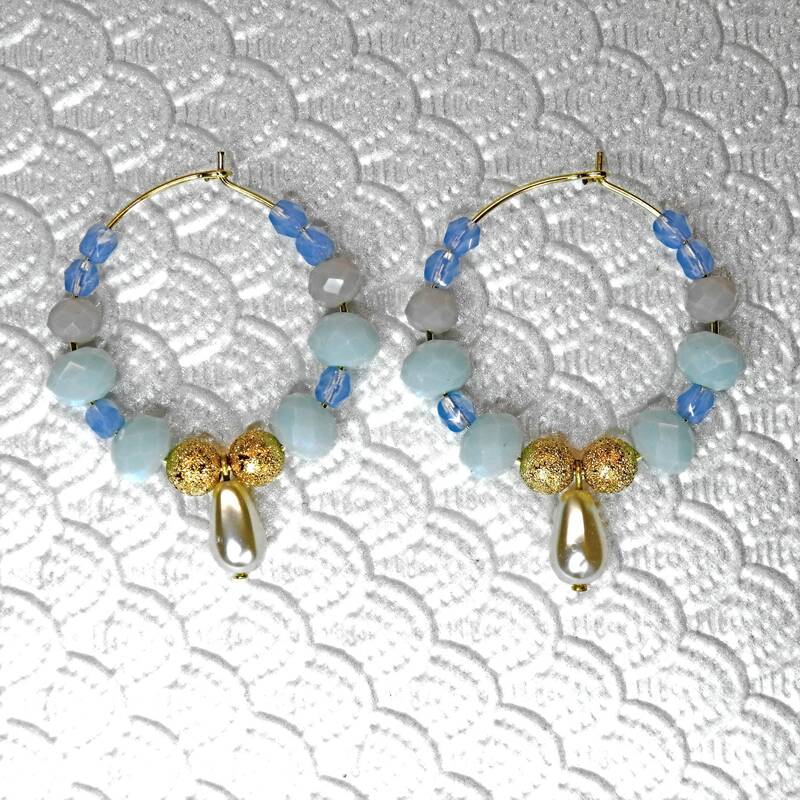 - Material: brass core hoops + Swarovski beads + 2 Japanese Glass teardrops. - Diameter: 3.5 cm // 1.2 in. 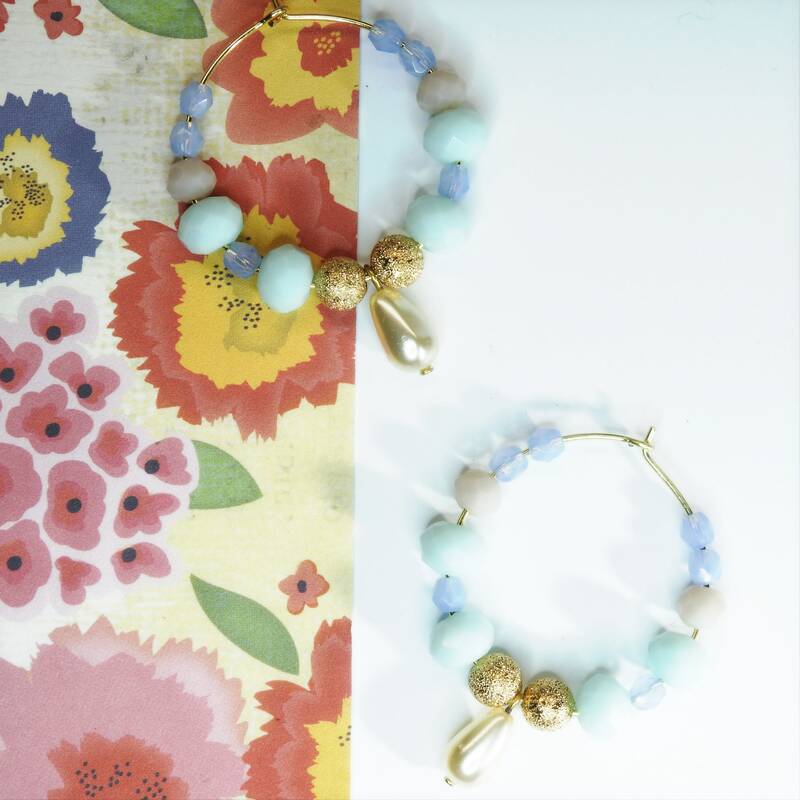 Thank you for exploring these beaded earrings hoops.